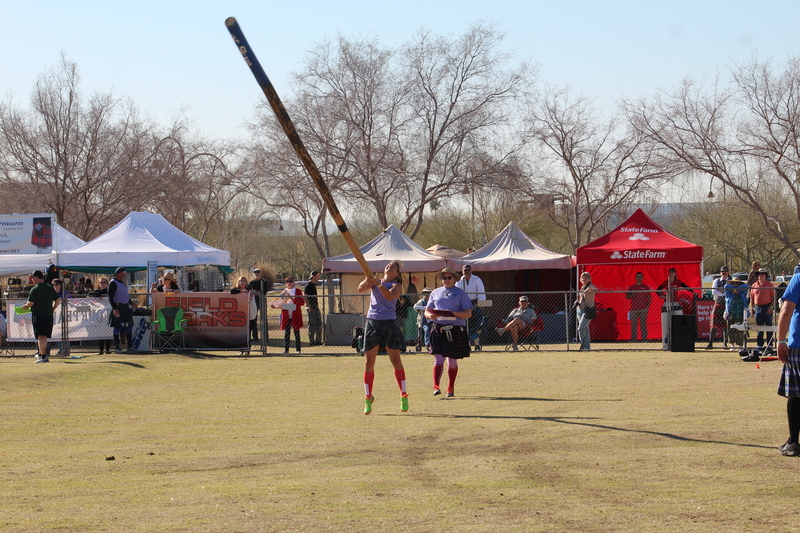 Scotland comes to the Desert Southwest during the weekend of March 2nd and 3rd, 2019 with the 55th annual Phoenix Scottish Games to be held at historic Steele Indian School Park in downtown Phoenix. You don’t need to be Scottish to enjoy the games featuring full highland pageantry with Pipes & Drums, Highland Dancers, Athletics, Celtic bands and Gathering of the Clans. As you move from area to area within the festival, you’ll be treated to a variety of live entertainment, interactive displays and athletic events. 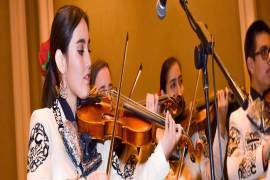 The event hosts Highland Dance championship and the Desert Southwest Pipe Band Championship. 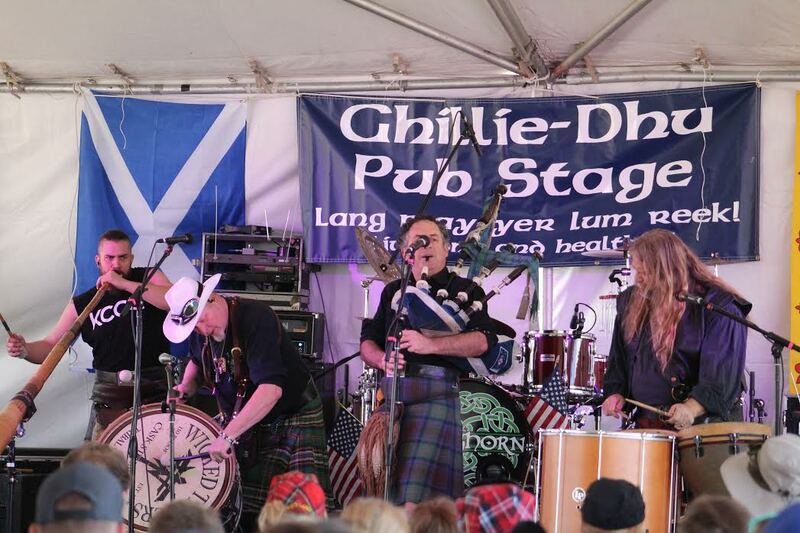 In addition to dancers and pipe bands, you won’t want to miss performances of traditional folk and bluegrass music with roots in the lowlands and highlands, plus The Wicked Tinkers, Cleghorn and Scot Jeffers in one of the many Four Peaks beer gardens located throughout the festival. Watch in awe as competitors in athletic events make it look easy to throw a log bigger than a telephone pole or toss a hammer farther than you can throw a ball! Events include the Caber Toss, Sheaf Toss, Hammer Throw and “Putting the Stone” with male and female competitors of all ages from across North America! If the kids want to try their hand at some of these fun events, there will be a “Wee Ones” children’s area featuring a mini-Highland Games with their very own Caber Toss, Hammer Throw with Highland costumes to try on. All ages will have fun in the Celtic Village, featuring a variety of Celtic merchants with clothing, music instruments, jewelry, baked goods and other traditional culinary delights that you won’t find at any other festival - traditional shortbread cookies, haggis, highland beef dishes and more. There will be Scotch Whisky Tasting where you can enjoy a dram and hear about the whisky making process of each expression. Car lovers don’t forget to vote for your favorite vintage vehicle at the British Car Display and show! 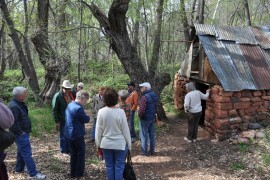 If you are curious about your heritage, join us in the Clan and Genealogy area. Arizona has over 175,000 Scots. You could be one of them! Everywhere you look you can see deep ties between Arizona and Scotland. 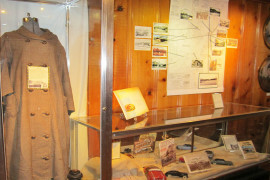 Douglas, Arizona was named for a Canadian-Scotsman, and the Rose Tree Museum in Tombstone Arizona features a rose tree grown from a cutting shipped to a young Scottish bride from her family in Scotland in 1885. But even if you don’t have any ties to Scotland, you will enjoy yourself at 55th Annual Phoenix Scottish Games. As long as you relish good music, food and fun, you’ll have a great time! The Phoenix Scottish Games are produced by the Caledonian Society of Arizona, the largest Celtic organization in the state, promoting Scottish culture through art, education and athletics. Funds raised at the event supports scholarships to aspiring and professional Highland athletes, musicians and dancers and/or other individuals or organizations whose mission, project or program promotes Scottish heritage. Stick around Saturday, or come after work for the Saturday evening Ceilidh at the Ghillie Dhu Pub Stage. Enjoy all our musical performers in one spot including The Wicked Tinkers, Cleghorn, Scott Jeffers, Iain Walinck & Stoneybank, and more. Admission is included in your Saturday ticket, or, just $10 at the gate (after 4:00 pm). The Ceilidh starts at 5:00 pm and wraps up at sundown. 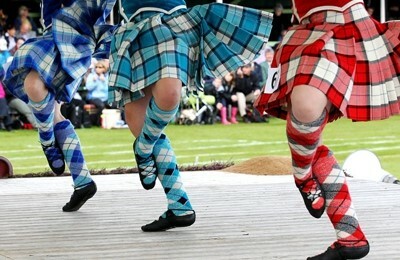 The Phoenix Scottish Games run from 9 am to 7 pm on Saturday March 2, 2019 and from 9 am to 4 pm on Sunday March 3, 2019. 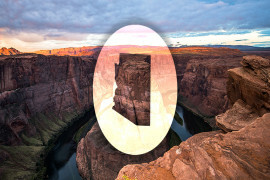 Single day tickets can be purchased at the gate for $20, or in advance at www.ArizonaScots.com for $17. 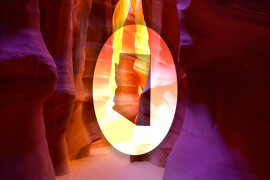 Add a second day for just $10. Discounted pricing is available for seniors, members of the military and children. See the website for detailed pricing information. FREE parking is available at the park and at Park Central Mall with a FREE shuttle.